The Virginia School Counselor Association is soliciting proposals for presentations promoting evidence-based programs in the domains of academic achievement, emotional growth, social development, career exploration, and post secondary planning. Presentations showcase best practices, current research, or skills of value to counselors, pre-K to postsecondary, as well as district personnel, graduate students and counselor educators. Please note, all sessions are 50 minutes in length. Proposals of a political, marketing or for-profit nature will NOT be accepted. The conference theme is Closing Gaps & Opening Doors. Presentations on these topics are welcome and requested! Notice regarding proposal acceptance will be sent via e-mail by June 30, 2019. Conference Rate: $20 discount off of the lead presenter and co-presenter’s registration rate. If your session is approved, the Lead Presenter will be emailed a link to the special Registration Portal for Approved Presenters. If you and/or your Co-Presenter(s), if any, plan to present the breakout session and then leave, there will be no registration fee. By not registering, you will not be given a name badge, program manual or tote bag, and will not be able to participate in any other sessions or meal functions at the Conference. HANDOUTS: You will be responsible for preparing and copying handouts for your session(s). Plan to provide 50-75 handouts. If you feel your session will be popular, please adjust amount as you feel necessary. Closer to the event date we will inform you of how many copies you may need. Every presenter will provide either their handouts, website address where handout materials can be downloaded, or contact information where session attendees can ask for materials by October 1, 2019. An email address will be provided in the presenter acceptance email on where these handouts, link, or contact information can be submitted. HOTEL RESERVATIONS: Presenters must make their own hotel reservations and are responsible for all other travel expenses. CO-PRESENTERS: All communications regarding your breakout session will come to the Lead Presenter directly, and the lead presenter will be responsible for sharing it with a Co-Presenter(s), if any. Also note the rate structure for Co-Presenters above. If a Co-Presenter is not added at the time of the CFP submission, one cannot be added in the future. WI-FI: The convention center is equipped with Wi-Fi Internet that is complimentary for all attendees. However, we highly recommend designing your session so that you will not need internet access, since it can be slow or unreliable. AUDIO VISUAL EQUIPMENT: All meeting rooms will be arranged theater style. Please note that the Conference will provide a LCD Projector, screen, A/V cart and power supply at no charge to you. However, the Conference will not be able to provide any other A/V equipment. You are responsible for providing your own laptop and dongle/appropriate adapter, if needed for your presentation. If your presentation requires sound for a video or sound effect please make the necessary plan to provide that equipment on your own. If you need additional audio visual equipment, please contact the convention center. Any arrangements you make with the convention center will be at your own expense. 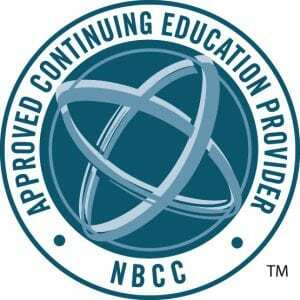 NBCC / CEU Credits – Anyone without a Master’s degree or higher needs to have a sponsor (with these credentials) with them to co-present in their session. Otherwise, no CEU’s will be awarded to participants for your session. The Virginia School Counselor Association has been approved by NBCC as an Approved Continuing Education Provider, ACEP No. 6606. Programs that do not qualify for NBCC credit are clearly identified. The Virginia School Counselor Association is solely responsible for all aspects of the programs. All correspondence will be made through email. Include previous positions held, professional accomplishments. If you plan on presenting with a co-presenter please provide their information below. Also, note the rate structure above. As you wish it to appear in the manual. State briefly 3 objectives of the session. 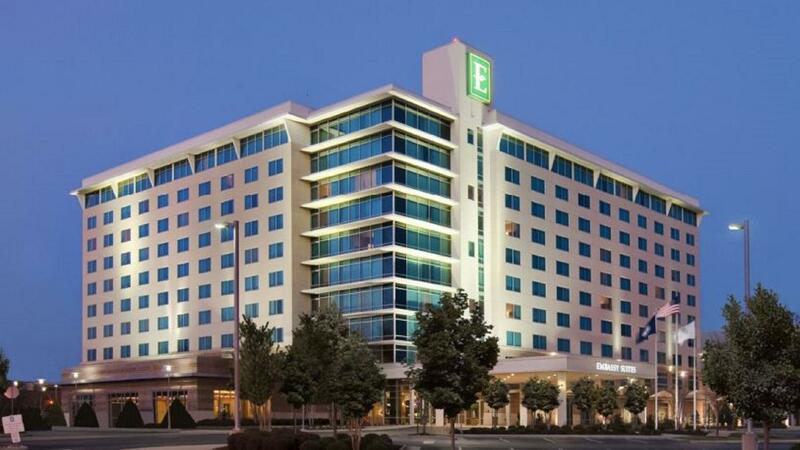 The Embassy Suites, the Conference’s host hotel, has a conference rate of $130 per night, plus tax, which remains valid for reservations made by September 24, 2019, while rooms are available. The price includes full, cook-to-order breakfast and evening Manager’s Reception. CALL: (757) 827-8200 or (800) 362-2779. Please be sure to tell the hotel that your group / convention code if “SCA”. REGISTER ONLINE: Go to the Embassy Suites website. If room blocks at these hotels are full look on the main VSCA Conference webpage for overflow hotel information.